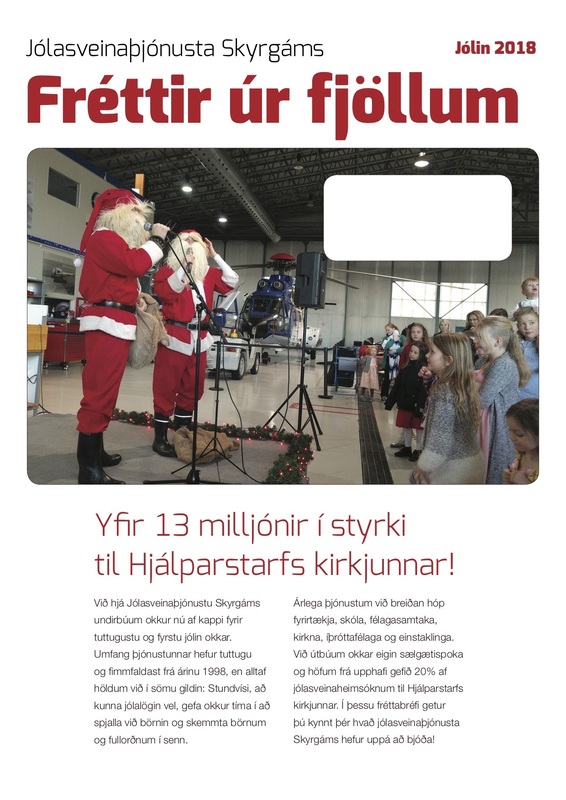 Jólasveinaþjónusta Skyrgáms (e. Skyrgamur – Santa Claus Agency) was founded in Iceland 1998. From beginning I have been one of Santa’s helpers, designing printed material, ads, and logos for the agency. In Fall 2018 I created and produced a newsletter for the agency, Fréttir úr Fjöllum, to promote their services to businesses. 20% of all income goes directly to The Icelandic Church Aid (ICA). In late 2015, the agency had donated over 13.000.000 ISK ($100.000) to charity through ICA.